When a new operating system such as Windows 10 is released, it has been tested for many months; however, when the product is made available for general use, the manufacturer begins to get feedback about a few problems or security gaps that it couldn’t have anticipated. For that reason, companies such as Microsoft release updates to their software, both to fix those problems and deal with new threats to computers that appear after the software release. 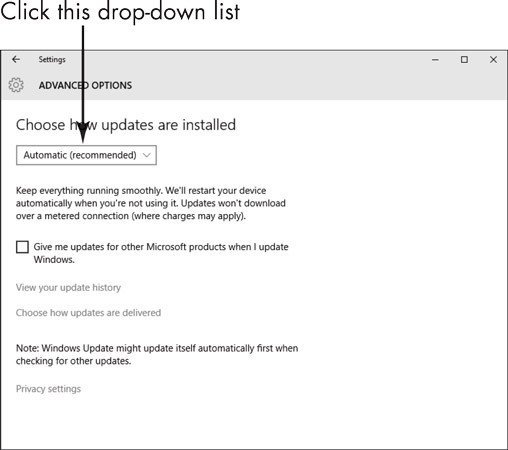 In the Start menu, click Settings → Update & Security → Windows Update. Automatic: With this setting, Windows Update restarts your laptop automatically to install updates when you’re not using it. If you’ve turned off your laptop, the automatic update will start when you next turn on your laptop. 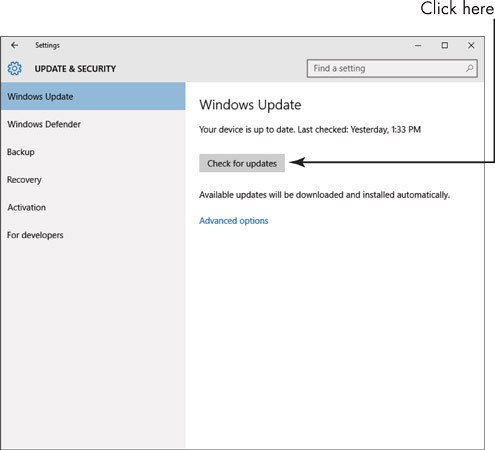 Notify to Schedule Restart: You can set up Windows Update to download updates and have Windows notify you (through messages in the Action Center) when they’re available, but you get to decide when the updates are installed and when your laptop restarts to complete the installation. This is a great setting because you have control and won’t be caught unawares by a laptop reboot. In the Start menu, click Settings →Update & Security → Windows Update. In the resulting window, click the Check for Updates link to see all updates. 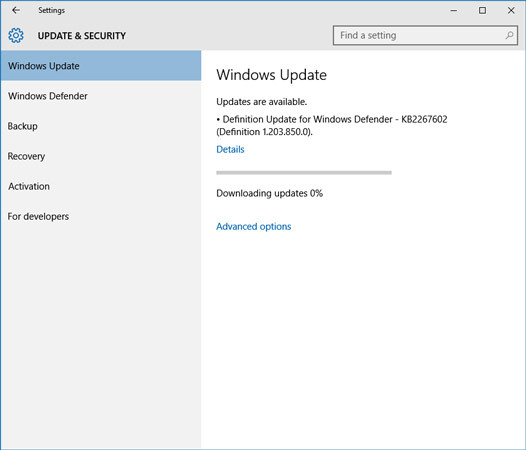 The following window shows all available updates and begins downloading and installing them in most cases. If instead you’re presented with an Install Now button, click it. If a restart is required a screen opens that allows you to either choose a restart time or click a Restart Now button.